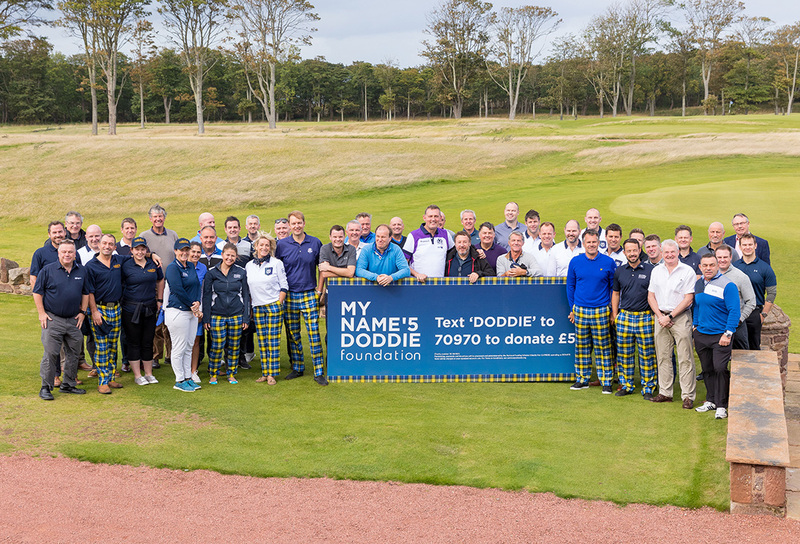 As part of our work the Foundation, Logan Sports Marketing have also created, developed and run Foundation-owned events such as golf days. 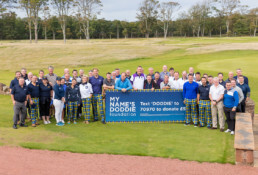 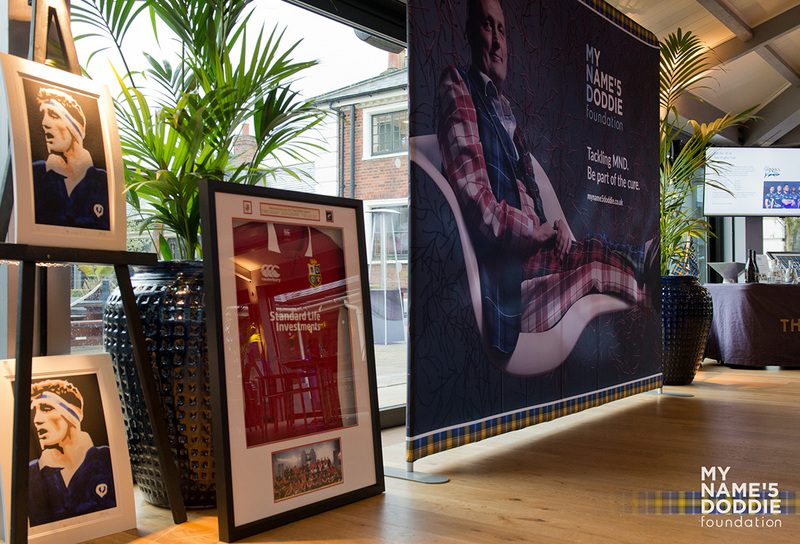 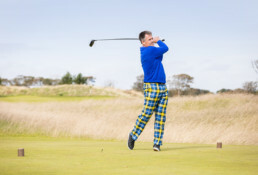 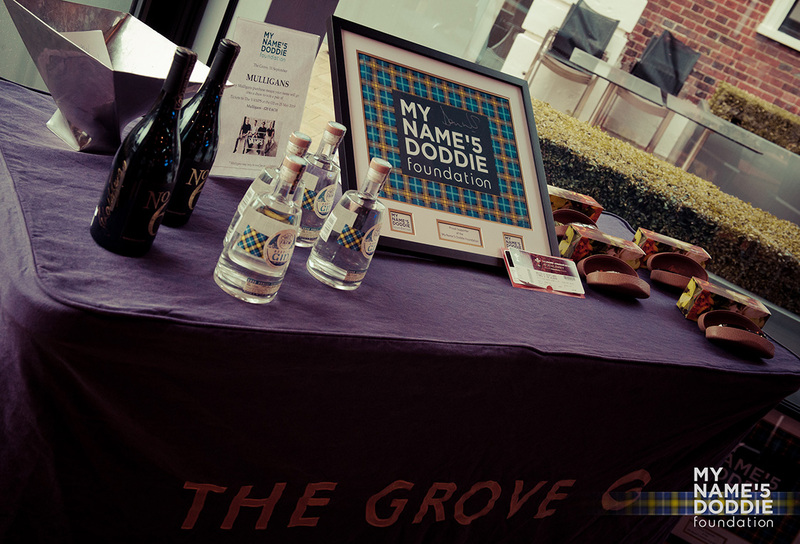 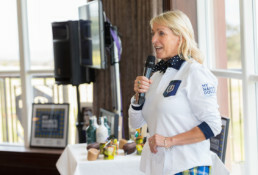 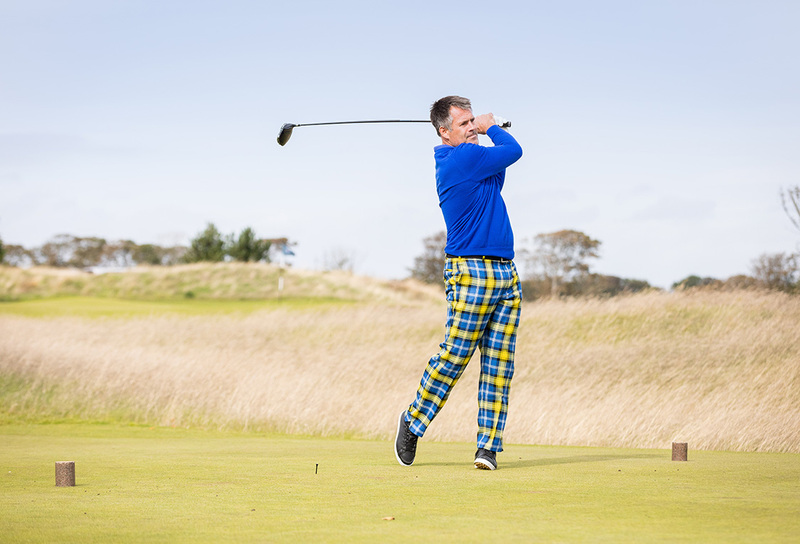 The inaugural, Official Doddie Golf Days were held in September this year – one in the south at The Grove Golf Club and one in Scotland at The Renaissance Club. 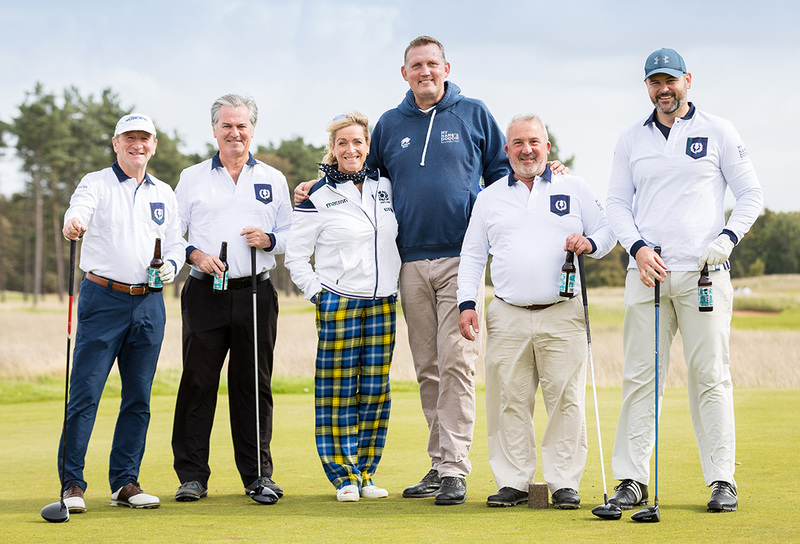 Each golf day had 14 teams battling it out for the big win, assisted by a few drinks and the excellent skills of their rugby legend captains. 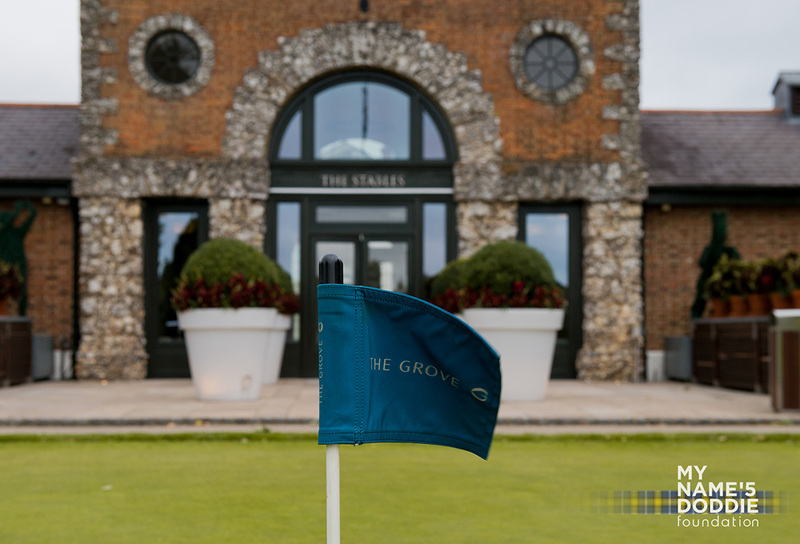 At The Grove, just outside London, we had the pleasure of being joined by Scott Quinnell, Bryan Redpath, Kenny Logan, Craig Chalmers, Alastair McHarg, Zinzan Brooke, Ben Hinshelwood, Peter Winterbottom and Richard Hill. 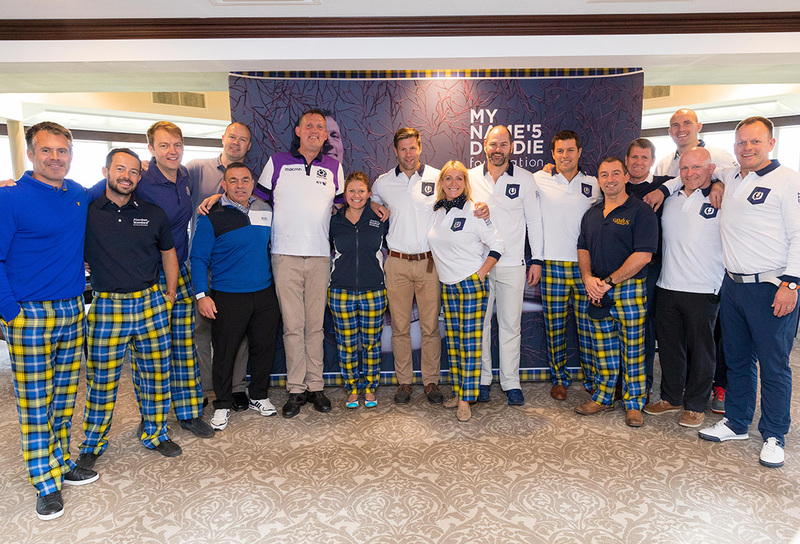 The Scottish teams were treated to the likes of Kenny Logan, Roland Reid, Hugo Southwell, Stuart Grimes, Ally Hogg, Rowen Shepherd, Alastair Kellock, Scott Lawson, Craig Chalmers and Bryan Redpath. 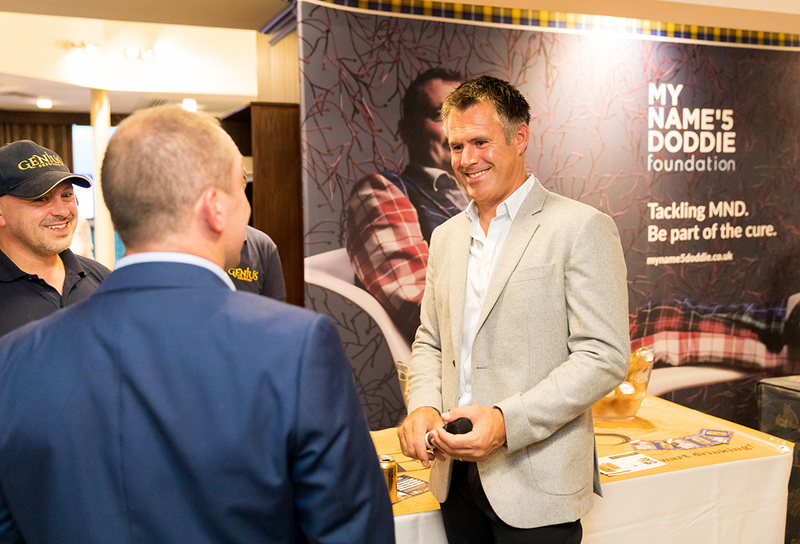 And the icing on the cake was having the big man there himself; who spoke openly, and with great humbleness about the journey he has gone through since finding out he has MND. Doddie could be found haring around each of the courses with Jill Douglas in tow along with an ice-box of beers from the Official Drinks supplier, Gen!us Lager. 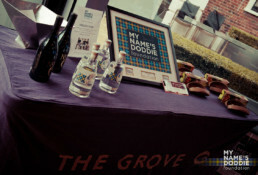 Other sponsors of the two events were Eden Mill Gin, Favre-Leuba watches and Maui Jim Sunglasses. 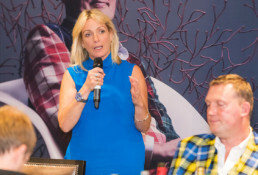 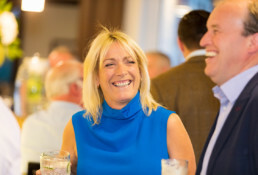 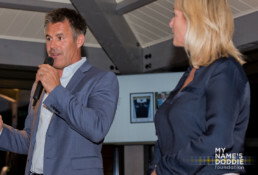 Each round of golf was followed by a lively and rapturous dinner for all players and friends of the Foundation and culminated with a charity auction to raise money for the Foundation. Huge amusement was won by the rugby legend captains, who provided the whole party with entertaining stories from their playing days whilst offering heartfelt thoughts and support for Doddie, post-dinner. 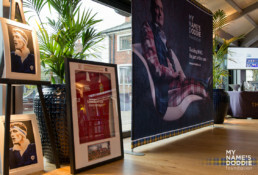 Amounts raised for the Foundation to be released in due course.